Homo apriorius ponders the probability of a specified hypothesis, while Homo pragamiticus is interested by the probability of observing particular data. Homo frequentistus wishes to estimate the probability of observing the data given the specified hypothesis, whereas Homo sapiens is interested in the joint probability of both the data and the hypothesis. 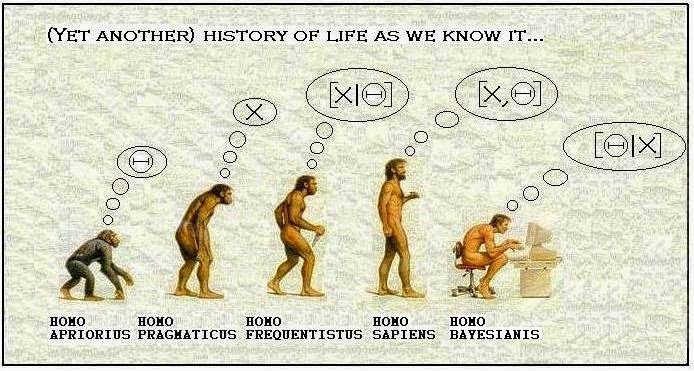 Homo bayesianis estimates the probability of the specified hypothesis given the observed data.